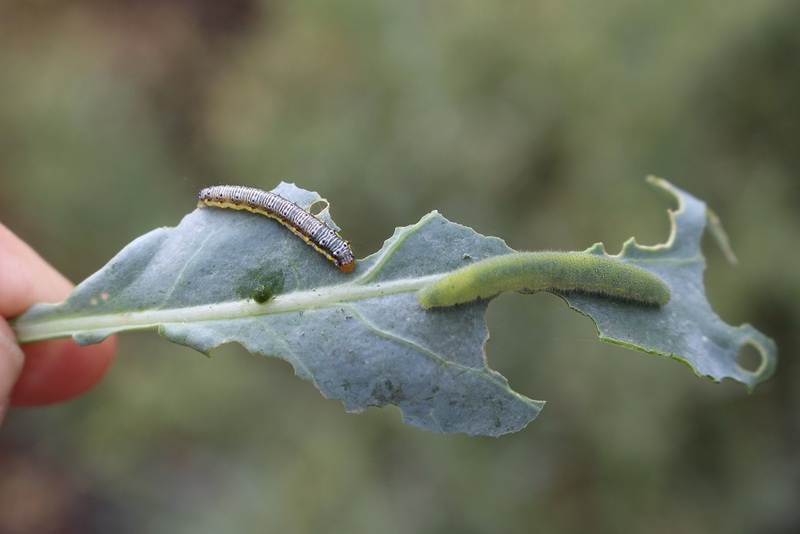 We have received inquiries regarding caterpillars feeding, and completely devouring cole crops, including: collards, Brussel sprouts, kohlrabi, turnip, and kale (Figures 1 through 3). 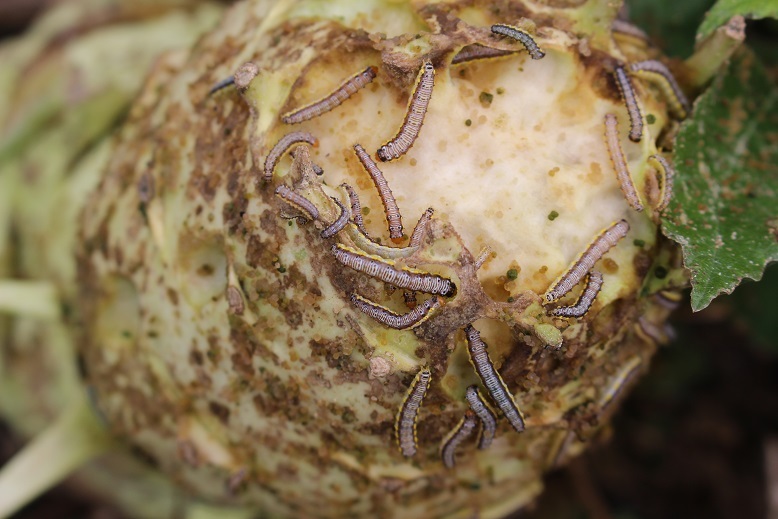 These are the cross-striped cabbageworm (Evergestis rimosalis). The caterpillars have black and white striping on the back, two dots on each abdominal segment, and yellow lines that extend the length of the body on both sides (Figures 4 and 5). 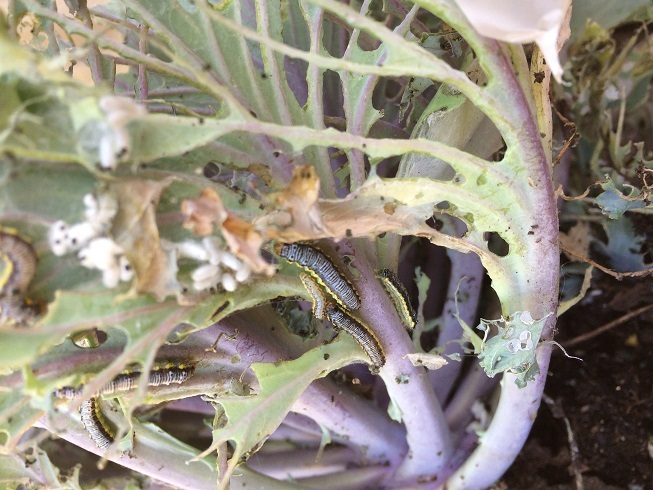 They are not a common insect pest but this year they have been a problem on many cole crops. 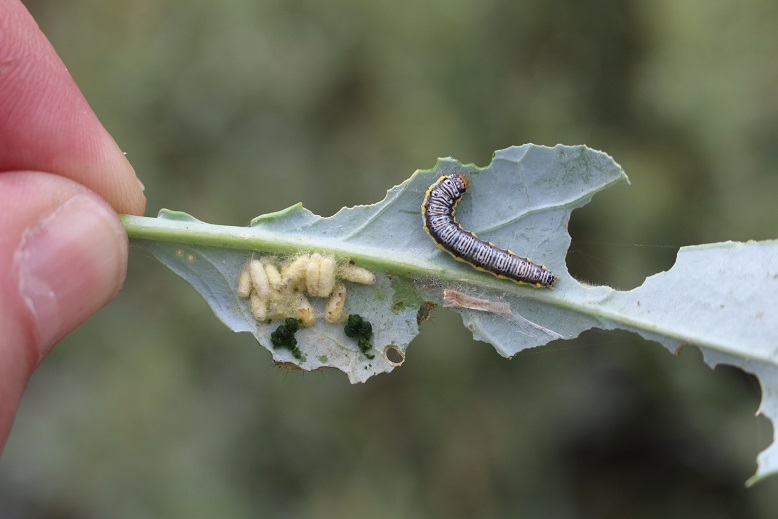 The cross-striped cabbageworm may be found feeding along with the imported cabbageworm (Artogeia rapae) (Figure 6). 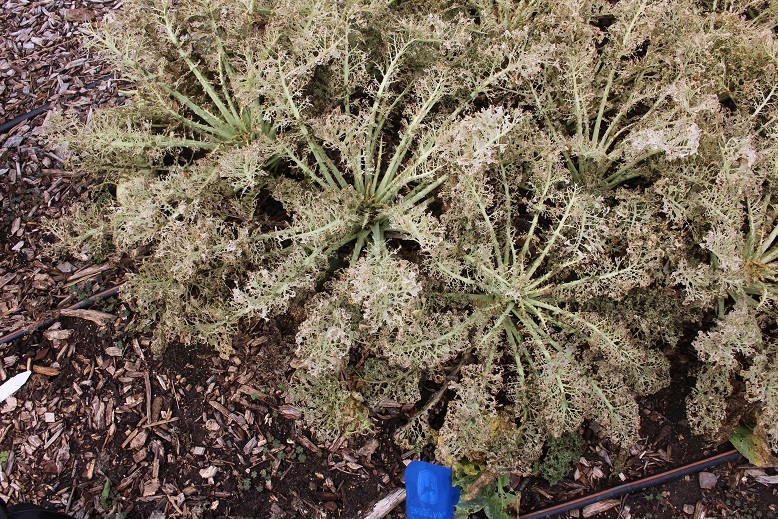 There is really no justification for applying an insecticide once plants have been heavily-damaged. 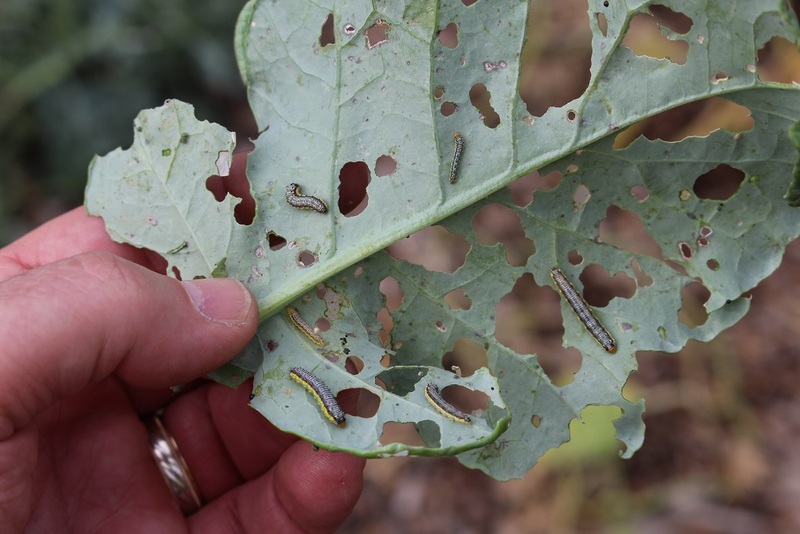 Therefore, the best option is to hand-pick cross-striped cabbageworm caterpillars and place into a container of soapy water.